Somreach comes from a family of rice farmers, living 60 kilometers outside of Siem Reap. He is the second youngest in a family of 8 children, and the first in his family to attend university and formally study English. 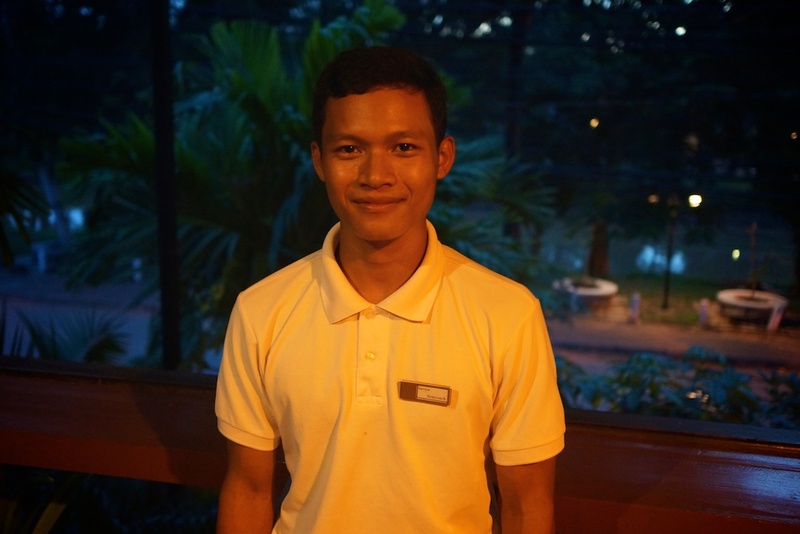 He dreams of one day becoming an English teacher and tour guide at Angkor Wat, and hopes that earning his degree will inspire his younger sister, who also studies English, to continue her higher education. He travels around the city, to his classes and work on a bicycle his grandparents gave him for achieving high marks in school. On his one day off each week, he sometimes rides his bicycle to Angkor Wat to study the tour guides he hopes to become one day. An adventurous accountant with a green thumb. Now the world is his cubicle.